We've all been there: It's 8:00 a.m. and you're rushing your kids—or just yourself—out the door. Your teeth are barely brushed and you're pretty sure your socks don't match. On mornings like these, breakfast can be the last thing on your mind. 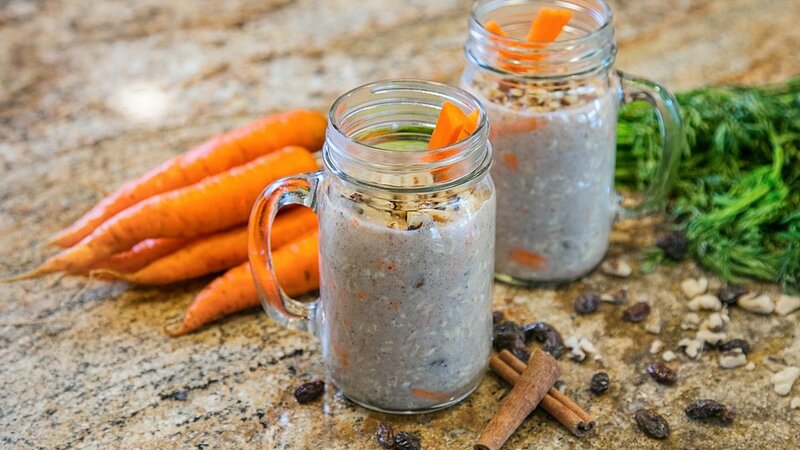 That's when you can reach for these yummy overnight oats. This recipe is easy, packed with fiber and protein, vegan, and tastes delicious. It's a serious lifesaver! Divide evenly and place in jars or containers. Refrigerate for 4-5 hours. Enjoy at home or on the go!